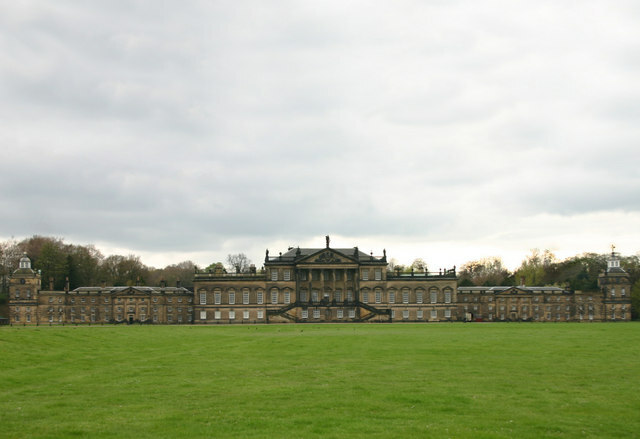 Earlier this month it was reported that one of the largest private residences in Europe, the Grade I listed Wentworth Woodhouse, near Rotherham in Yorkshire, is to be put up for sale. With 365 rooms and the longest front of any house in Britain, this architectural gem was home to the prime minister, Charles Watson Wentworth, second Marquess of Rockingham (1730-82), whose estates passed in 1782 to his nephew, William Wentworth Fitzwilliam, Earl Fitzwilliam (1748-1833), a leading Whig politician. Subsequent generations were also politically active, and this ‘MP of the Month’ blog features not one individual, but the six members of the Fitzwilliam family whose biographies form part of our 1832-68 project. Charles William Wentworth Fitzwilliam, viscount Milton (1786-1857): MP for Malton 1806-7; Yorkshire 1807-30; Peterborough 1830; Northamptonshire 1831-2; Northamptonshire North 1832-3. Succeeded as Earl Fitzwilliam in 1833. Four of his sons [2-5] sat in the Commons, as did his grandson . William Thomas Spencer Wentworth Fitzwilliam, viscount Milton (1815-1902): MP for Malton 1837-41, 1841-7; County Wicklow 1847-57; succeeded as Earl Fitzwilliam in 1857. Taken collectively, their Commons careers, spanning the period 1806 until 1885, highlight some interesting features of the nineteenth century electoral system which we will be exploring further in our research. The seats which these six – who all shared Whig/Liberal views – represented were constituencies where the Fitzwilliams were major landed proprietors: the family pocket borough of Malton; Northamptonshire North; Peterborough (where the customary payments to voters were known as ‘Milton crowns’); County Wicklow; and the southern division of the West Riding. The sole exception was Richmond, where George Fitzwilliam instead drew on the influence of his mother’s relative, the Earl of Zetland. Such was the Fitzwilliams’ hold over Malton in particular that their nominees never faced a contest during this period, and in 1832 William Charles Fitzwilliam was elected for the constituency despite having not yet reached the age of 21.
all kinds of noises, and particularly most successful imitations of the bellowing of an enraged bull and the yelping of a cur just run over by a gig, were raised by the Blue party, and continued till Lord Milton bowed to the storm. When they moved beyond the sphere of their territorial influence, the situation could be even more difficult. Two of them made ill-fated attempts to seek election for the West Riding. William Thomas Spencer Fitzwilliam, Viscount Milton, finished third in the poll behind two Conservatives in 1841, while in 1848 his younger brother Charles abandoned his candidature after a disastrously bad start to the opening of his election campaign at a meeting at Leeds. In mourning for his wife, Charles William Fitzwilliam, Viscount Milton, did not participate in his return for Northamptonshire in 1831. The election of MPs who had not shown themselves on the hustings continued in the post-Reform era. 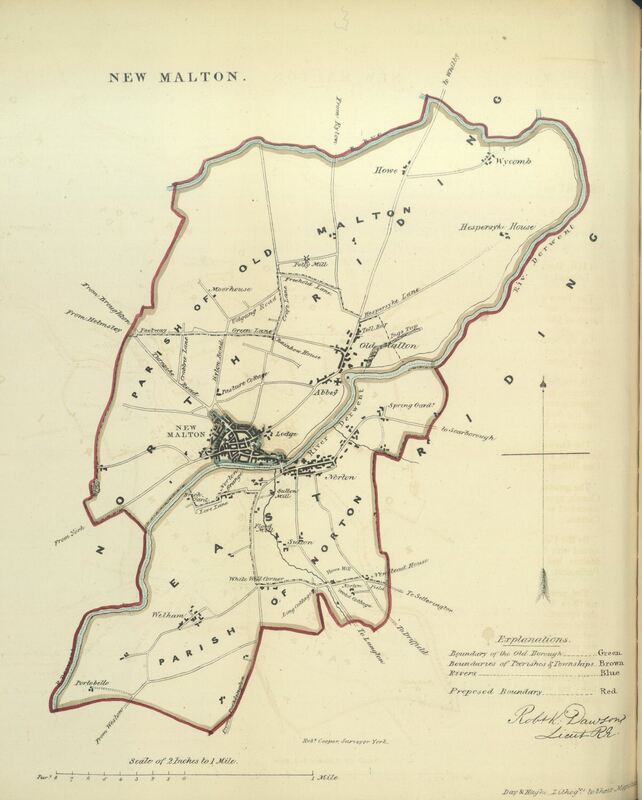 At the 1837 general election William Thomas Spencer Fitzwilliam, Viscount Milton, sought re-election for Malton, and also agreed to stand for Northamptonshire North, in response to a requisition signed by 1,000 voters. Despite this, and his family connections to Northamptonshire, his chances there were felt to be poor, and he was defeated. He fell back on his seat at Malton, where he was elected in his absence. He was at least in the country when he was elected, unlike his younger brother, Charles, who was elected for Malton in 1852 while he was on a tour of America. In January 1854, John Bright used this case to illustrate the need for further electoral reform which would do away with pocket boroughs. Bright noted that it was unclear whether Malton’s new MP, who had not been heard of for some time, was even aware of his election. In fact, much to his family’s relief, ‘the missing member’ had turned up the previous month at ‘Fort Laramia, in a bear skin, on his return from California’, having been hunting bears in the Rocky Mountains. He only addressed his new constituents for the first time in October 1854, more than two years after the election. None of these MPs were renowned for their oratory. 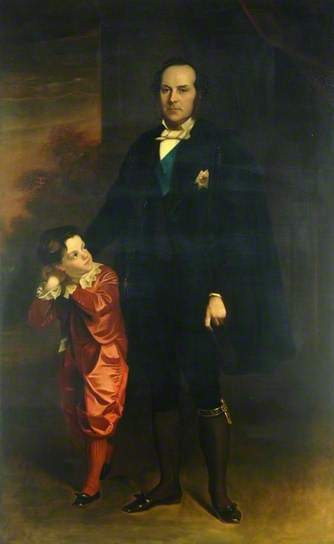 The eldest had little opportunity to speak in the Commons, as his father’s death meant that he was elevated to the Lords in February 1833, only ten days after the Reformed Parliament first met. Having hardly spoken in the Commons, William Charles Fitzwilliam, Viscount Milton, won ‘golden opinions’ for his eloquent speech proposing Lord Morpeth on the West Riding hustings at a by-election in May 1835. Hopes that this might lead to a similar display of parliamentary oratory were not to be fulfilled, as Milton died that November of typhus, aged only 23. Milton’s younger brother, William Thomas Spencer, who succeeded him as Viscount Milton, never spoke in the Commons, despite sitting for almost two decades, earning him the epithet of ‘mute inglorious Milton’. He also cut a poor figure at election meetings, where even his supporters heckled him to ‘cheer up’ and ‘have more confidence in yourself’. a fine, heroic young man, of true English pluck and daring… When occasion demanded, he could fell trees, make rafts, shoot and cut up buffaloes, jerk the meat and cook it, and even make a plum-pudding; and as to dangers, he had to meet them in their most horrible form. Frost, fire, storm, the roaring cataract, wild beasts, cunning Indians, all conspired against him and his companions. When he returned to England and sought election in 1865, the Sheffield Independent noted approvingly that Milton was ‘not one of those pampered lordlings who waste the years of their young life in the empty dissipations of fashionable society’. Unfortunately, like his uncle before him, his potentially promising parliamentary career was cut short by ill health, and he retired from Parliament in 1872.
thecountryseat.org.uk on the architectural history of Wentworth Woodhouse. This entry was posted in MP of the Month and tagged Fitzwilliam family, MP of the Month, pocket borough, silent member. Bookmark the permalink.